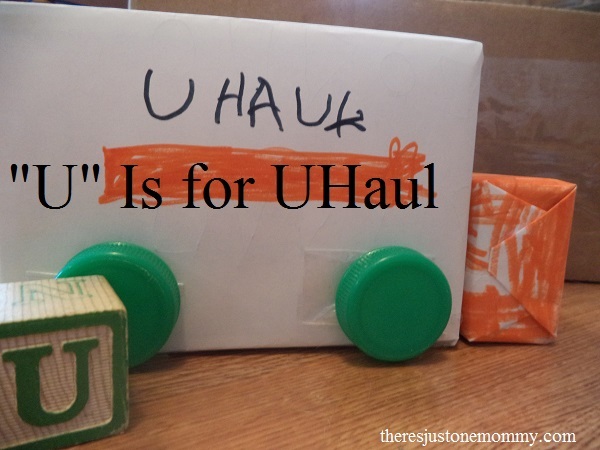 We’ve pulled out of the station, leaving our Train Activities behind, and have headed on to “U” Is for Uhaul! 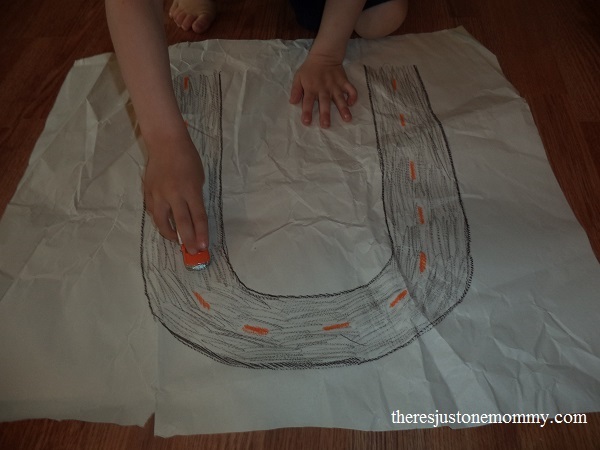 We started off driving our miniature UHaul truck along a U-shaped road, making U-turns and working on the shape of the letter. After all the giggles were over (a few other vehicles joined in and had a couple crashes), we talked about what a UHaul truck/trailer look like and what they are used for. Then we raided the recycling bin to build a UHaul truck from boxes. 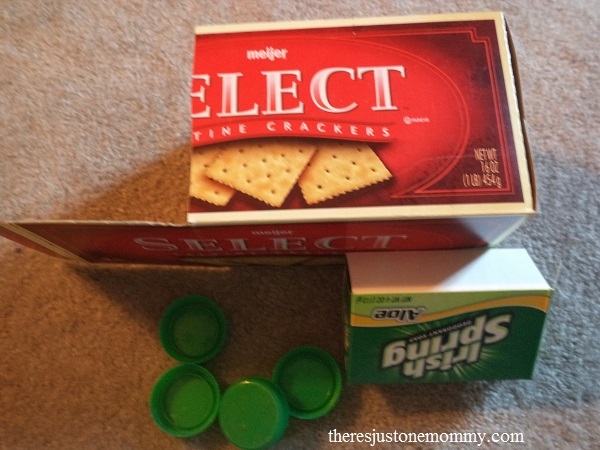 First I cut the cracker box as you see in the picture, forming our ramp for the truck. Then we covered the cracker box with white paper and used markers to add the orange stripe and write UHaul on the top. The preschooler worked on holding his marker correctly as he colored some paper orange to cover the soap box that would become our cab. 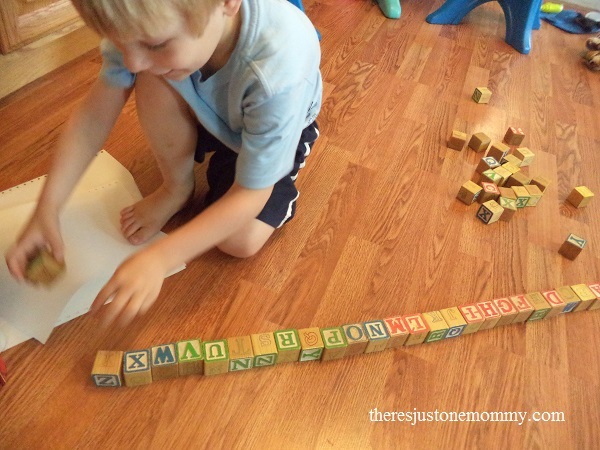 I brought up our old wooden alphabet blocks to be our cargo. And then I asked the preschooler to load the truck up, finding the letters in the alphabet — in order! Boy, did we have to sing that alphabet song more than a few times to remember which letter came next as we worked! But he was super proud when the truck was all loaded up and ready for the big move. Once the truck had driven around a while, the preschooler decided to unload the “boxes” and put them back in ABC order. 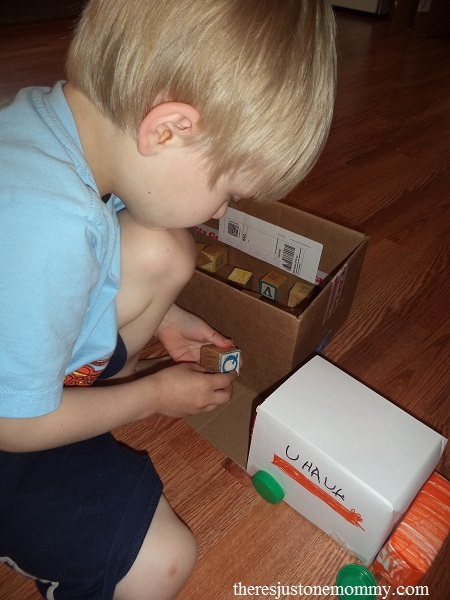 I have a feeling our cardboard UHaul is going to stick around awhile, just like our ice cream truck craft did! For more fun building and STEM ideas, check out our ebook Up! Cute idea! This will go alone with the transportation unit I’m doing right now. We might be able to fit this in this afternoon! Thanks for sharing! Hope they have fun with it! If they like it, you may want to check out some of our other vehicle activities!